FORD FIESTA S 2015, ARGENT, MANUELLE, SEULEMENT 388 KM, VÉHICULE NEUF, AIR CLIMATISÉE, BLUETHOOT, GARANTIE COMPLÈTE ENCORE VALIDE,TRÈS PROPRE, ÉTAT NEUF! POUR SEULEMENT 46.60$/ SEMAINE SANS AUCUN COMPTANT CE PETIT VÉHICULE ÉCONOMIQUE EST À VOUS. 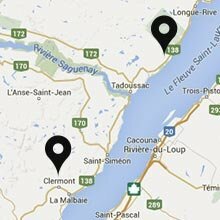 NE TARDEZ PAS ET PASSER CHEZ CLERMONT CHRYSLER POUR VENIR RENCONTRER UN DE NOS CONSEILLERS AFIN D'EN FAIRE L'ESSAI. Ce véhicule, Ford Fiesta S * AIR CLIMATISÉE vous intéresse?